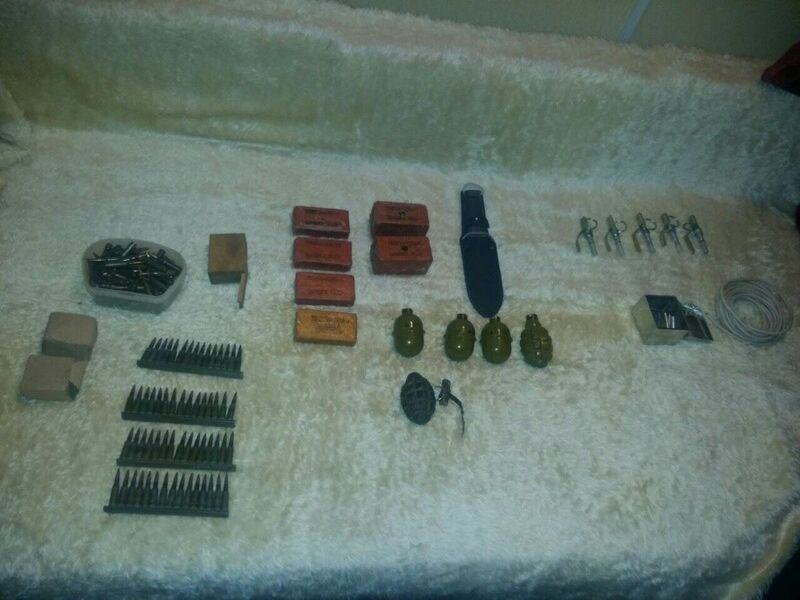 Kyiv law enforcers have revealed a cache of ammunition in an abandoned building on Hrushevskoho Street, according to Zoryan Shkiryak, the adviser to the minister of interior. "Just now, the Kyiv National Police Department and the SB Security Service have found in the city center, in the non-residential premises on Hrushevskoho Street an ammunition depot," Shkiryak wrote on Facebook Thursday. "In particular, five hand grenades RGD and F-1, 1.5 kg of TNT and several hundred rounds of ammo," he wrote. Shkiryak suggested that the hostile forces had planned to use the ammunition during the Patriots March on Defender Day celebrated in Ukraine October 14. Read alsoBan on alcohol sales in Kyiv at night becomes effective Oct 12"Probably the bloody anti-government sabotage by hostile forces (the Russian security services) was planned to be carried out during the March of Patriots, dedicated to the Defender Day and the Day of Protection of the Blessed Virgin Mary. The cache of the terrorists was located on the route of the planned solemn procession. Investigation continues…" he wrote. Shkiryak also stressed that, despite this, all the celebrations will be held on schedule, in accordance with the applications submitted by the organizers. He also stressed that the Interior Ministry, the National Police, the National Guard, and the Security Service will remain on high alert and immediately respond to any threats.